Do you Live in the Dallas Texas Area? 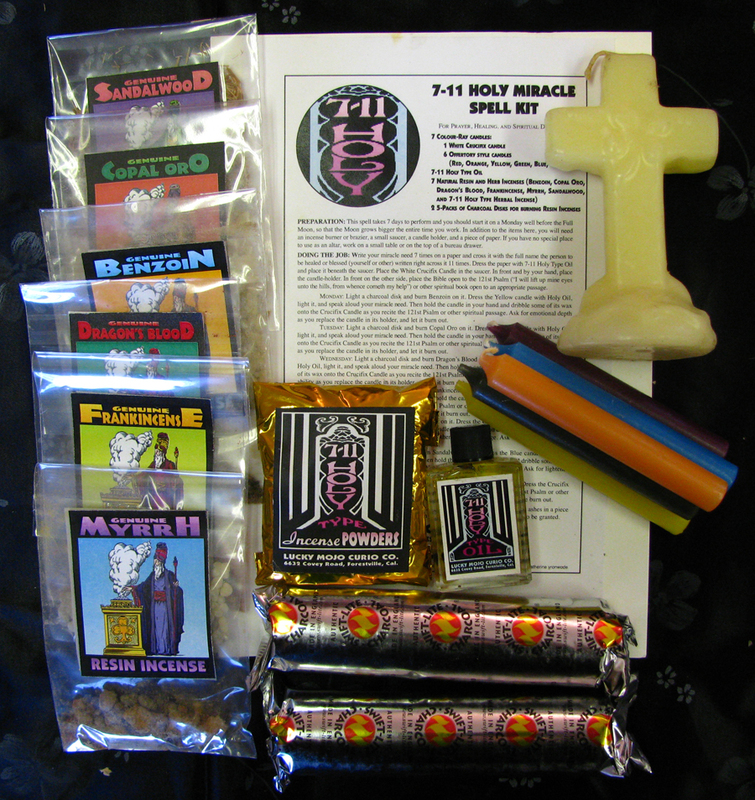 Want to buy hoodoo supplies near Dallas Texas? Then you can visit the shop any time. Just remember to call ahead, and we'll be there to sell you the rootwork, hoodoo or conjure supplies you need. A smile and free consulting available with every sale! Click here for Directions to Dallas Hoodoo! Lucky Mojo Brand condition and dressing oils are made with pure essential oils, hoodoo roots, and magical herbs. Each bottle has herbs or roots directly in the bottle. DO NOT be misled by other oils that do not contain herbs in the bottle, you may very well be purchasing nothing but colored liquid. These Magic Oils have been a part of the American Hoodoo Magic practice for hundreds of years. DO NOT be taken in by modern fancy products that do not offer these PROVEN HOODOO RECIPES. Lucky Mojo Essential Oils have a wide array of uses in magical and spiritual practice such as a perfume, to anoint candles and to make your own ritual oils. On the surface it may appear that un-cut pure essential oils are the best route, but many pure essential oils are not skin safe, requiring you to cut the oils yourself with a carrier oil such as almond or coconut oil. In addition, the cost of purchasing even one ounce of some pure essential oils can be cost prohibitive, and not everyone needs a full ounce of a pure oil, or doesn’t stock carrier oils. You may also run into the situation where the essential oil doesn’t smell right because we have come to recognize the stronger synthetic scent. Lucky Mojo Skin Safe Essential Oils have been pre-cut to be skin safe with almond oil, the traditional oil used in hoodoo recipes. All Lucky Mojo essential oils contain pure essential oil extract, and some have had a little synthetic perfume added to augment the smell. Use Lucky Mojo Skin Safe Essential Oils RIGHT AWAY as a perfume, to anoint your candles, or even blend immediately into your favorite ritual oil. Please read my guide Making Your Own Hoodoo Oils for free recipes. Lucky Mojo Planetary oils have many uses in magical practices. Traditionally magic is performed on the certain days of the week for the associated magic, such as love work on Friday and Money Drawing work on Thursday. When you need to perform work on a day other then the corresponding day, you can strengthen the work by using the correct planetary oil. You can use planetary oils in conjunction with astrological oils to more personalize a candle spell for an individual. Cunningham’s Encyclopedia of Magical Herbs lists the Planetary Rulers for the magical herbs; use these oils to strengthen your work with those herbs. Use these oils to anoint and charge magical talismans such as the Seals of Solomon. It is not a random coincidence that those who practice hoodoo are known as Root Doctors. Herbs, roots, minerals, and animal curios are a huge part of any Root Doctors practice, and you can make these magical items work for you. Each of the Lucky Mojo Herbs, Roots, and Curios that we sell are specially selected by Granny Cat, many of them grown in her own garden. Each package has a very special label containing directions on how to use them in the contour method – they are an education in Southern Folk Magic practice themselves. If you need rare hoodoo roots, unusual animal curios, or wish to know your herbs are fresh and magically charged with prayer, assure yourself of quality – Buy Lucky Mojo, accept no substitutes. There is not the slightest doubt that the censing of things and persons was first practiced for acts of purification, and thus become symbolic of consecration and finally of the sanctification of the soul. The Egyptians understood the use of “incent”, as did the priests of Persia, and the keepers of the holy relics of the church. The bible says “Burn incense” and commands in Exodus 30:1, "Thou shalt make an Altar to burn Incense on." Incense has been used as sacrifice and as purifier, to draw in what is Good and Drive Away what is Evil. Those who believe in the use of the Psalms may wish to burn Lucky Mojo incense and read the Psalms for various conditions. Why wait any longer when these fine Lucky Mojo self lighting “insense powders” can bring you what you desire. We make no claim that these practices will affect supernatural results, but sell these fine self lighting incense powders as a curio only. The use of Sachet powders is rich and varied. Those in the know have used them for a multitude of conditions. We have been told that you can place a little powder in a bag and tie around the neck or place a little on the body each morning to help draw that and those you desire to you. Put a little in the four corners of a room or on your door step to help drive out unwanted influences. Dress papers or petitions to help give you that “edge” or even throw a bit at your enemies, their property or their tracks to bring about unfavorable conditions on them. Lucky Mojo sachets are preferred by some to oils or perfumes, because there is no fear of using too much and thus making the user appear “loud” or vulgar. We make no claims of this, but sell these fine Lucky Mojo Sachet Powders as a curio only. Many people know of the importance of keeping their house and place of business spiritually clean as well as the value of doing the same for their daily items and surroundings. But far too often folk over look themselves! How can you go out and about Sanctified, Protected and Blessed, ready and expecting all the good things you deserve when you yourself are still carrying an Evil Mess or an Oppressive Condition on your very self! Those older folk who remember know just how to get the right result with a good old fashion Spiritual Bath and we offer to you a fine selection of Herbal Baths, Bath Crystals and Washes prepared the right way for the right results. A little warm water, two candles and the Power of Prayer and you’re good to go - Clean and Ready. We make no claims as to the supremacy of Spiritual Baths in troubling matters and times but merely report what we have been taught and sell these beautifully blended baths as a curio only. There are a number of special items that are marketed at Lucky Mojo Curio Co., that have a rather unique place among the various products. These items traditionally come in larger bottles, the average being 4 oz. 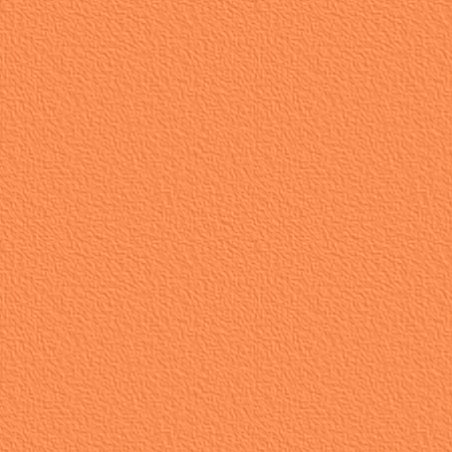 The most famous of these is Chinese Wash, or Chinese Floor Wash, a popular spiritual cleanser. 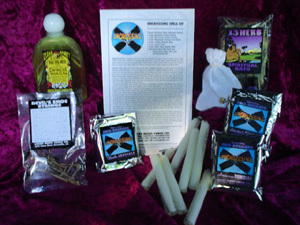 Chinese Wash is closely followed by Special Oil #20, considered the best all around oil for Hoodoo work, “if you have nothing else use #20”. The companion to Special Oil #20 would be 7-11 Holy Type Oil, an all purpose dressing and altar oil. Peace Water to bring comfort and kindliness. And last but not least, Four Thieves Vinegar to provide protection for disease and magical attacks. Since ancient times, special vials of secret ingredients have been mixed to make inks suitable for ritual work. Originally these inks would have contained some of the blood for which they are named, but in modern times that is no longer the case. 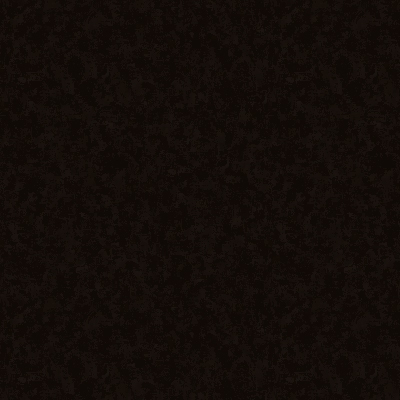 To replace that blood, unique scents and red color have been used to re-coordinate these inks with the powers they need to posses in order to work for you. Pure chunks of Dragon’s blood resin, the red sap of a tree called the Dragon Palm is still used today to make Dragon’s blood ink. These specially formulated inks are of the highest quality, and will work beautifully in either a fountain pen or metal nib pen, traditionally a colored quill or feather pin would be used to empower the rootwork, magic, or spirit workings even further. It is for many reasons that old-time root workers were often called root doctors or conjure doctors. These experienced hoodoo practitioners prescribed spells and mojo’s for their clients specific needs. We at Black Cat Root Shack also offer this option to our clients. However, as trained root doctors ourselves, we fully endorse the Spell Kits from Lucky Mojo. Granny Cat is someone in whom we can both rely on! Her spell kits contain all the necessary, and often rare and expensive, items needed to address almost all conditions you may look to attract or dispel for yourself. Additional kits for many conditions available, both from Lucky Mojo and custom prepared by your very own Black Cat Root Shack specialist. 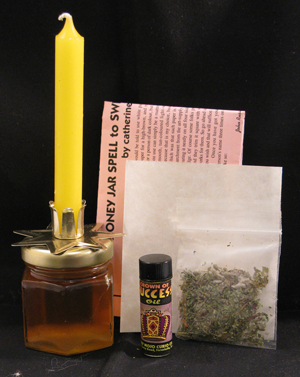 One of the oldest and most traditional spells found in hoodoo is the honey jar, or sweetening spell. In its simplest form the spell involves the use of honey in a container, to which name papers, personal concerns and herbs are added. The jar is then left to sit and “sweeten” the two people to each other. Variations on the honey jar include the use of sugar boxes and other types of liquid or granular sweeteners. Traditionally a candle, dressed with oil, is burned on the top of the honey jar every week until the desired result comes true. Lucky Mojo honey jars are made with premium honey, the correct blend of herbs, a bottle of oil, a candle to start the work, a small candle holder, and instructions. There are many kinds of bottle spells that have been used all around the world through out the practice of magic. Traditional European bottle spells were called Witch Bottles and were primarily used to keep witches and other nasty people or spirits from entering your home. Hoodoo uses Bottles for a wider variety of spell work, the most famous of these the Break Up bottle spell, which contains needles, pins and nails to cause a couple to fight like cats and dogs. Use bottle spells for luck, money and prosperity drawing, to keep your lover close and passionate, or to control and dominate a boss or lover. We sell empty bottle spells from Lucky Mojo Curio Company because they are beautifully hand painted with a little picture carefully attached inside the bottle. If you would like your bottle spell fixed by Black Cat Root Shack with the herbs required for you condition or need, we charge an extra $3 for this service and ship the bottle spell to you ready to go. ALL bottle spells come packaged with complete instructions. LANMAN & KEMP BARCLAY & CO., INC. Since 1808, Lanman and Kemp has been making soaps and perfumes from their home town of New York City. One of the first products introduced was Murray and Lanman Florida Water. Florida Water immediately gain popularity and approval from the consumer and became a worldwide, well-known cologne, not only because of it's delightful fragrance but also because of the more than twenty uses attributed to it – including its firm place in the practice of rootwork, conjure and hoodoo. Lanman & Kemp sell not only Florida Water, but Florida Water soap and a selection of other soaps available to you in our store. Licorne is a family owned and operated Belgium business producing some of the finest pendulums in the known world. Each pendulum is designed and made in their workshop, by a family who have spent generations studying parapsychology. The pendulums are made only of the finest and highest quality brass, copper and hand-selected stones. Most of the pendulums are then coated with pure gold or palladium. Palladium is a member of the Platinum Group Metals. Palladium is a rare and lustrous silvery-white metal that was discovered in 1803 by William Hyde Wollaston, who named it palladium after the asteroid Pallas, which in turn, was named after the epithet of the Greek goddess Athena, acquired by her when she slew Pallas. The market is flooded with cheap $10 pendulums produced in China or India and available to thousands of wholesalers for a dollar or two. If you've not had the opportunity to work with a hand crafted, high quality divination tool like this before, you're in for a rare treat. We are proud to offer these quality magical pendulums to the public.